If ten consultants were asked to name their top influencer to a positive cash flow, there would probably be ten different answers. It is human nature to draw from one’s area of expertise whether it be as a nutritionist, agronomist, economist, or another specialty. The ten responses may not be incorrect, but they may not be the most significant factor affecting the cash flow and breakeven cost. The first place most people draw their attention to is the average milk production per cow. This is definitely not the best measure for determining a profitable herd. 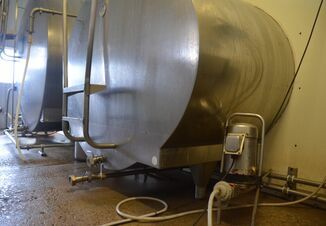 If a dairy has 200 stalls and is only milking 180 cows averaging 80 pounds, then those cows have to pay not only for their stall but the unoccupied 20 stalls as well. Even though this average production would be considered good, in this situation the income generated would probably not cover all the overhead expenses, especially if breakeven costs of production are between $18.00 and $20.00/cwt. In the above scenario what would be the best approach to improve the herd’s cash flow: increase the average production per cow or fill the vacant stalls? If this herd needs 5.8 million pounds to cash flow, then adding 20 cows that average 25,000 plus pounds of milk is the better approach. If this herd tried to keep the cow numbers the same, then production would need to increase to 88 pounds on average per cow per day to achieve the same annual pounds of milk sold. Increasing production per cow by 8 pounds per day can be a difficult goal to achieve. Now for the other parts of the equation – expenses. The first question should be why are the cow numbers low? Is this because reproduction is broken or is it due to a problem in the heifer program? These underlying problems greatly impact the profitability of an operation. Purchasing 20 cows is the “Band-Aid” solution and is not always ideal because of biosecurity issues and the initial outlay of funds to buy the cattle. It is more prudent to correct the management issues on the farm compared to purchasing potential problems. Another management problem affecting this scenario could be inadequate feed inventory and thus the lower number of lactating cows. The bottleneck could be the cropping program where the farm is not raising enough forages. Purchasing additional forages and supplements is the “Band-Aid” for feeding the added 20 cows. This could challenge the cash flow negatively as well. The underlying problem may be inadequate forage inventory to maintain the needed 200 milking cows. Examining strategies to maximize land usage to meet the feed requirements of the herd would be the better long-term approach. Ultimately the key to maintaining a positive cash flow and low breakeven cost per CWT is identifying strategies to sell the total pounds of milk needed. This number is going to vary depending on the farm’s unique combination of resources and limitations. Errors in projected cow numbers when making plans can change a positive cash flow to a negative much faster than focusing on the average milk per cow. While both numbers are important, focus on hitting the goal of marketing the annual total pounds of milk needed first, then fine-tune the operation by working on the milk per cow goal. Goal – Determine the number of animals projected to calve and dry off for the upcoming 9 months. Step 1: Using Dairy Comp 305 or PCDART, project the number of heifers and cows to freshen over the next 9 months. Step 2: Evaluate the reproductive performance of the mature cows and heifers to ensure an adequate number of lactating cows/heifers throughout the year will be available. Step 3: Examine current inventories of all forages and work with a consultant to incorporate cropping strategies to improve forage inventories for the year. Step 4: Using the Penn State Excel spreadsheet or fillable pdf form, project a cash flow plan for the upcoming year using realistic cow numbers, production, and milk price. Step 5: Use this information during profit team meetings with the appropriate advisors. Monitoring must include an economic component to determine if a management strategy is working or not. For the lactating cows income over feed costs is a good way to check that feed costs are in line for the level of milk production. 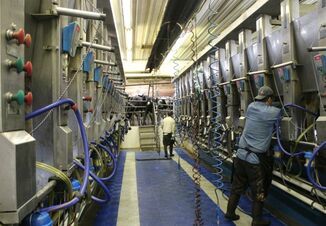 Starting with July 2014’s milk price, income over feed costs was calculated using average intake and production for the last six years from the Penn State dairy herd. The ration contained 63% forage consisting of corn silage, haylage, and hay. The concentrate portion included corn grain, candy meal, sugar, canola meal, roasted soybeans, Optigen, and a mineral vitamin mix. All market prices were used. Also included are the feed costs for dry cows, springing heifers, pregnant heifers and growing heifers. 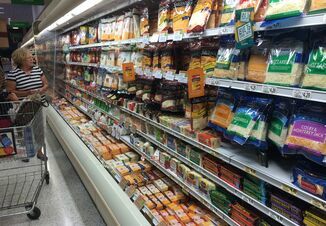 The rations reflect what has been fed to these animal groups at the Penn State dairy herd. All market prices were used. Income over feed cost using standardized rations and production data from the Penn State dairy herd. Note: Penn State’s November milk price: $18.61/cwt; feed cost/cow: $5.38; average milk production: 83.0 lbs. What Makes a Cow Fertile?